In a recent press release, MapR announced that several of its partners, including Syntelli Solutions, have integrated big data technologies with the MapR platform and provided free Test Drives for individuals to explore and learn about these technologies in action via Amazon Web Services. The press release explains that AWS Test Drives for Dataguise DgSecure, HPE Vertica, Apache Drill, and TIBCO Spotfire® are available now for testing and exploration. Essentially, these Big Data AWS Test Drives allow for private sandbox environments that are fully pre-built and pre-configured for the end user. By using step-by-step instructions, users can launch, login and explore the most popular big data solutions in under one hour. Because these environments are hosted on the cloud, no installation is required, making it easy to start discovering business insights. Syntelli, a proud partner of MapR and Spotfire, built the “AWS Test Drive with Apache Drill and Spotfire” to help users immediately see how to extract value from big data technologies. 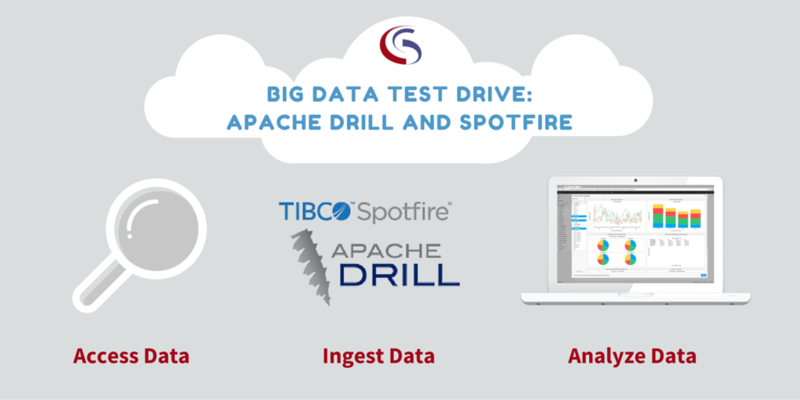 Check out the free Apache Drill and Spotfire® by Syntelli Test Drive, and see the benefit of big data technologies in a matter of clicks! Read full press release from MapR.